Just because you left home, you don’t need to leave your hairstyle at home! If you have already furnished your new flat, you only want a good hairdresser. Why not visit us? Klier hair salon, one of Europe’s favourite hairdresser network, now awaits you in Hungary too! Our hairdressers’ goal is to create the perfect hairstyle that’s uniquely tailored to you. We want to see you leave smiling – and come back smiling! To this end, we offer great expertise, quality products and customer-oriented service. 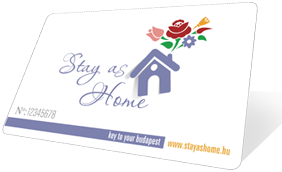 You can visit us 7 days a week without appointment, in our 8 locations in Budapest and in several cities in the country. In our major salons we continuously offer special discounts to ensure customer satisfaction. If you prefer to take care of your hair at home before your next visit to us, you can choose from our wide selection of hair care products of the highest quality. In order to buy the most conformable product, our staff is happy to help you make the right choise. Make yourself at home with us because your hair is our passion!